The House of Cards star Kevin Spacey has gone quiet after sexual misconduct allegation emerged from numerous sources. 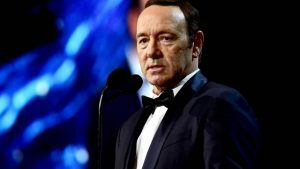 The allegations started when the actor Anthony Rapp claimed that Spacey had acted inappropriately towards him when he was 14 years old. After these allegations emerged, others have spoken out that the 58-year-old star has acted inappropriately towards them. Spacey’s lawyers have said that the star denies all allegations. However, sources say that the star has remained quiet, because he is guilty and because he knows that he will not be able to get good work in the future. Kevin Spacey’s film “All the money in the world,” will not be part of the AFI fest TriStar Pictures announced. TriStar Pictures said that although the film was an excellent film, they will not celebrate the film at the AFI fest because of the actor’s allegations and out of respect of those impacted. The film, however, will be in cinemas on December 22nd as the company believes that the film is not the work of one person. After this news, the House of Cards’ production company, Media Rights Capital, announced that Spacey would be suspended from the series. Netflix who broadcasts the show added that they would not be involved in the further production of House of Cards if it includes Kevin Spacey. Spacey’s representative said that the actor is now taking time off acting and looking at evaluation and treatment.